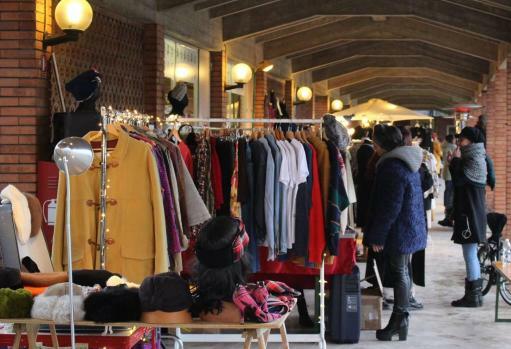 Bags, glasses and vintage accessories, but also street food, craft beers and live music for the Visarno Christmas Market, three days of joyful Christmas shopping, from Thursday 21 to Saturday 23 December at the Visarno Racetrack in Florence. No parking problems, yes ideas for original gifts and evenings in the company. Everything indoors, of course, in the halls under the tribune of the Hippodrome, strictly free admission. From 11 to 24 many stands with proposals ranging from quality craftsmanship to reuse, from 80/90 fashion to comics, from objects to records. Did you have a certain appetite? At the Visarno Christmas Market you can taste fresh pasta, sea street food, lampredotto, tripe, ribollita. There is no shortage of craft beers. In the evening the volume rises and from the stage come the sixites notes of the Last Minute Dirty Band (Thu 21), the ragtime of the Gutbuckets (Fri 22) and the swing of the Apple Party & The First Ladies. Info tel. 055.218647, www.visarnoarena.it . Follow us on Fb.